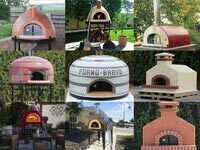 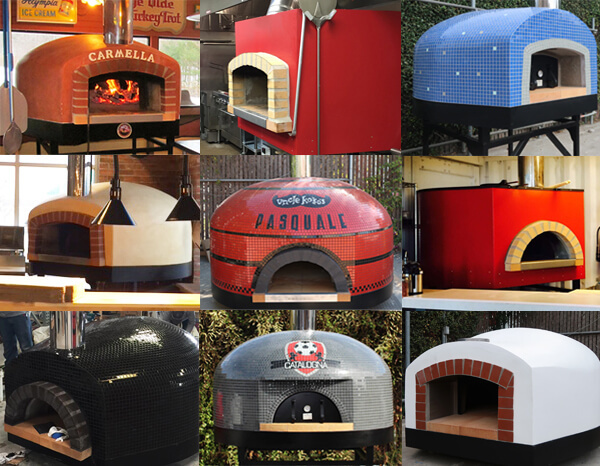 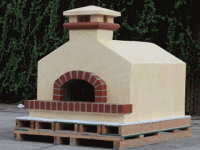 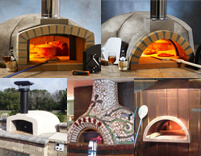 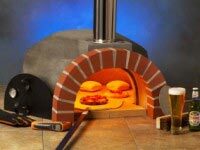 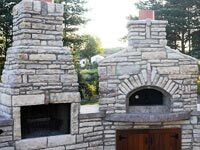 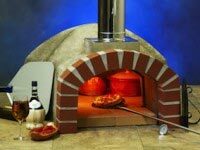 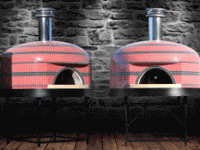 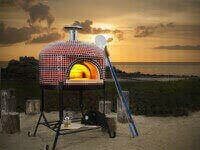 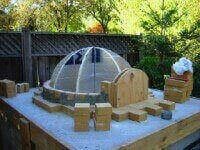 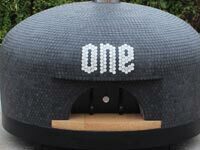 Pizza Oven Design — Ventilation Options. 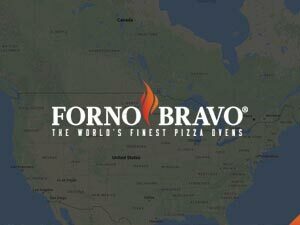 Both Good and Bad. 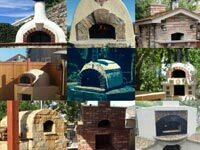 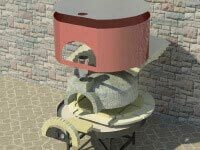 Building on my postings the last couple of days on oven design and innovation, I wanted to follow up with some thoughts on pizza oven ventilation design. 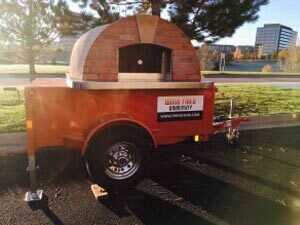 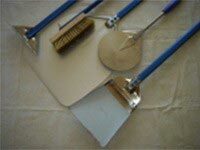 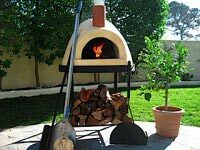 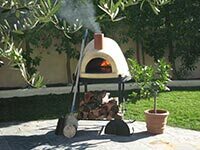 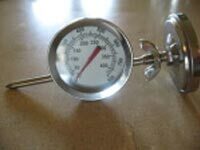 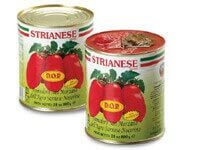 In general, there are a couple of different methods, including two that are quite widely used, and a couple that you need to avoid — whether you are building your own oven, putting a pizza oven kit or assemble oven in your backyard, or selecting a pizza oven for your restaurant. 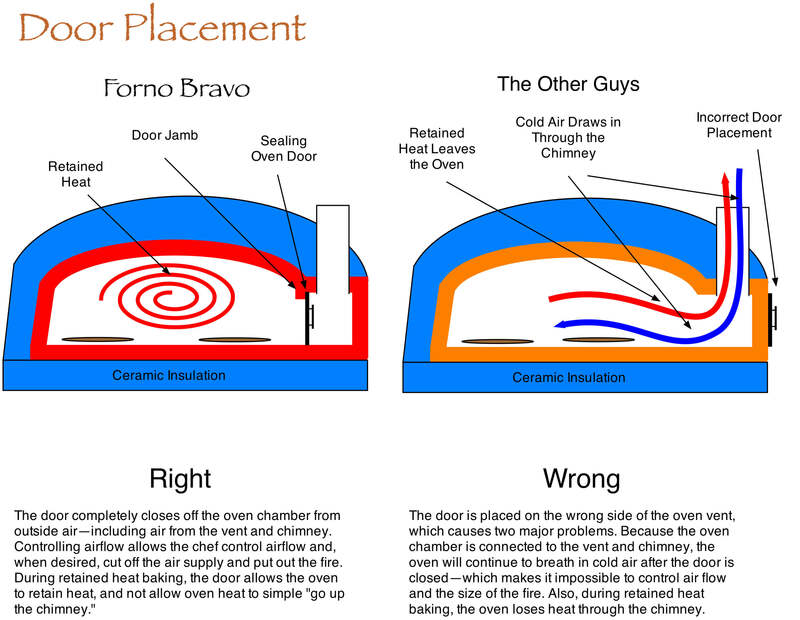 The two proper venting methods are the “traditional design”, where the vent is located in front of, and above, the oven opening, and the chimney (or ventilation pipe) runs vertically up from the vent; and there is the “center vent design”, where the vent (or hood) opening is located directly above the oven opening, and the vent runs directly back over the top of the oven dome, where it connects to the chimney (or ventilation pipe). 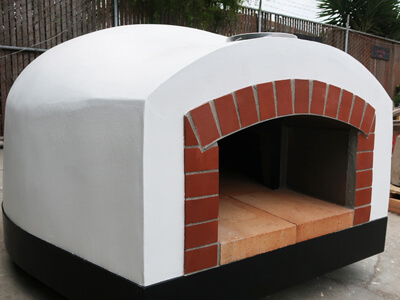 In both cases, the ventilation system is located outside of the cooking chamber, where the door can be used to regulate airflow, or even cut off airflow, and to retain heat inside the oven. 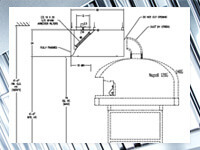 The illustrations below show the elements and functionality of both designs. 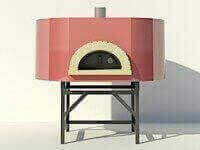 In the traditional wood oven ventilation design, the vent is located in front of, and above, the oven opening, and the chimney runs straight up. 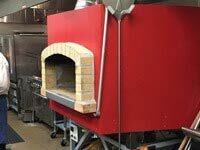 The vent and chimney create a strong draw, helping pull hot air out of the oven chamber and increasing the oven’s natural convection. 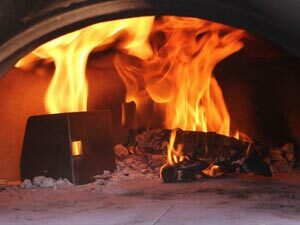 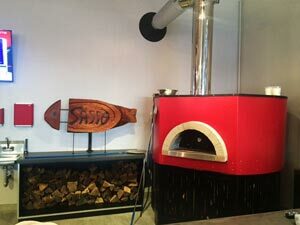 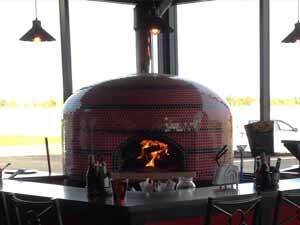 While a wood oven will “work” without a vent and chimney, a properly designed oven ventilation system will significantly improve air movement and oven performance while keeping smoke away from the chef. 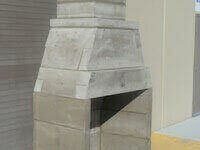 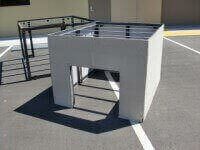 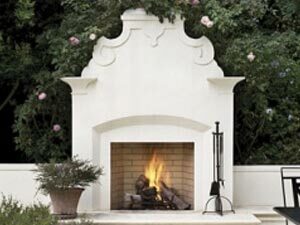 The traditional design can work either with, or without, side walls that enclose the vent. 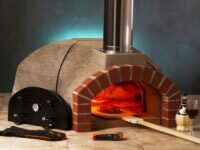 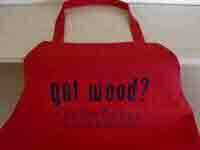 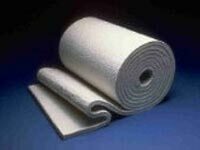 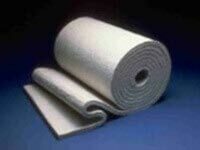 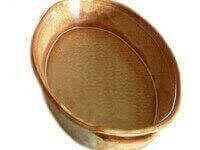 The center vent design has also been used widely over the years in both pizza ovens and bread ovens. 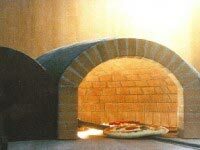 Like the traditional ventilation design, the vent creates a strong draw, helping pull hot air out of the oven. 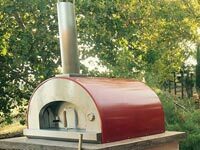 Additionally, because the hot air is pulled directly across the top of the oven dome, this ventilation design can help evenly heat the oven and help the dome maintain high pizza baking temperatures. 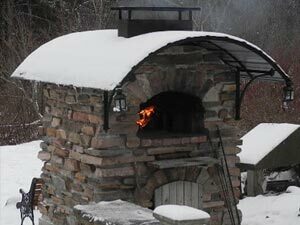 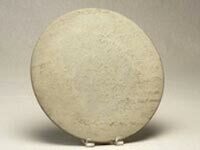 The center vent design is used in Naples-style pizza ovens, where they often call the vent a hood, or second dome. 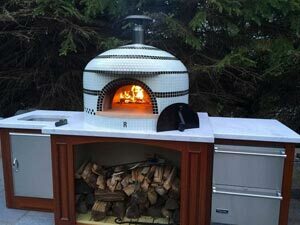 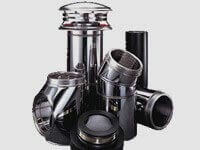 You really can’t go wrong with either design and in some ways the question of which ventilation method works better for you may depend as much on design ascetics as it does on functionality. 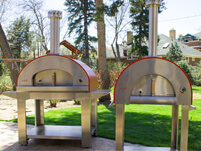 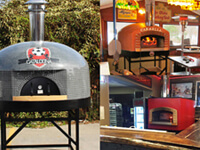 Forno Bravo manufactures ovens using both ventilation methods. 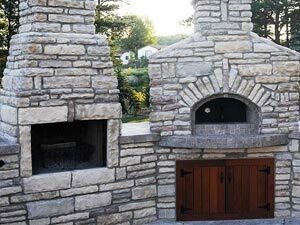 I also want to add a couple of thoughts on two other ventilation designs — the “no vent” oven and the “vent in the oven” designs. 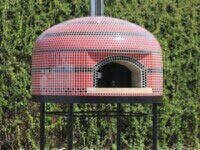 There is a small oven imported from Portugal that is for sale in the US that does not have a vent, and to be blunt, we would strongly recommend against buying it. 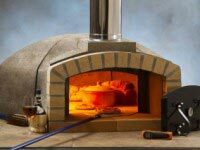 Given the choice of the Forno Bravo Primavera and Andiamo ovens (at very reasonable prices), there is no reason to buy a vent-less oven. 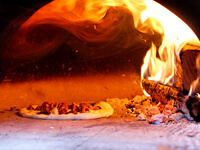 The oven does not draw as well or operate as well as a properly designed oven, and the chef has to deal with constantly have smoke in his or her face. 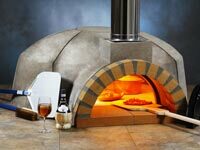 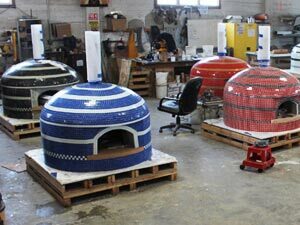 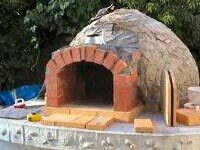 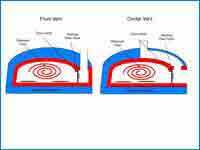 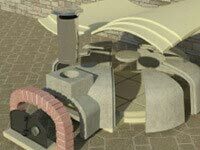 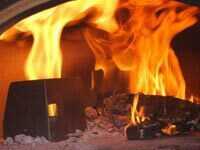 We are also asked on occasion whether we would recommend a Pompeii oven builder avoid the hassle of building a vent, and our advice is that unless the vent will stop you from building your oven, it is absolutely worth the effort to build one. 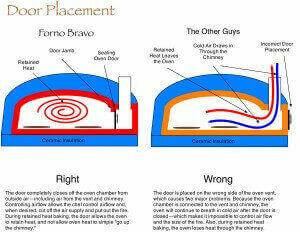 On the other hand, when you see an internal vent on a permanent oven you know there is a problem. 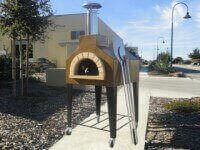 To be blunt again, in this case, the oven designers simply did not know what they were doing. 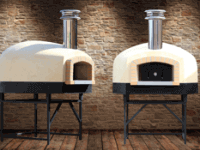 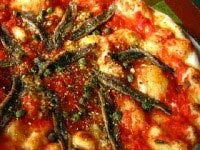 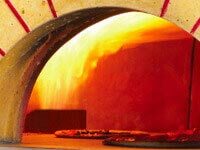 There are two different US-made pizza ovens that have this critical problem, one located in southern California and the other in Illinois, and our recommendation is to avoid those ovens. 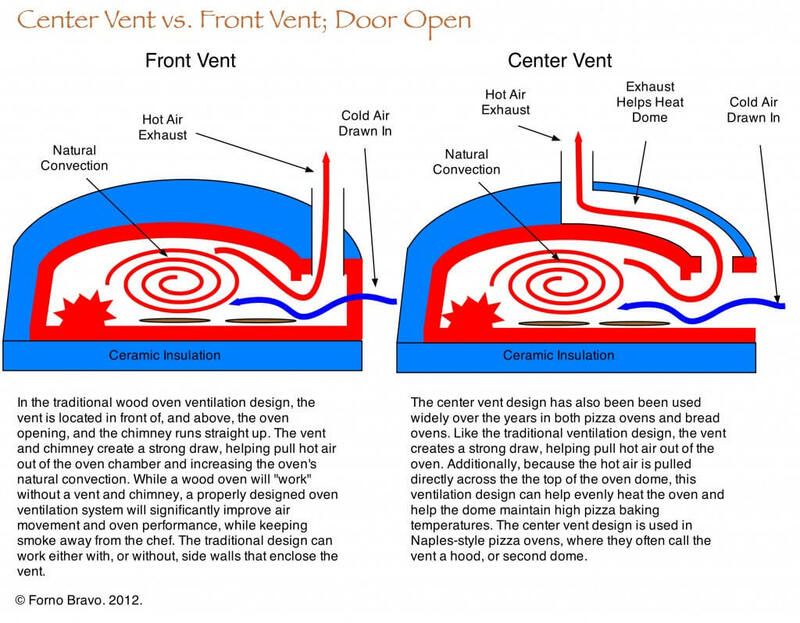 Take a look at the graphic below to see the implications of an internal vent. 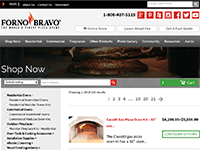 Be sure to click on the graphic to see a larger image. 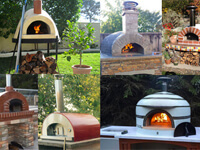 Let us know if you can any questions or comments. 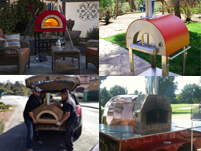 We are happy to discuss the benefits of our designs with you!